2015 was an incredible year in technology and healthcare; from new consumer technology and personalized devices coming to market to the introduction of new supercomputers that reduce the time and cost of healthcare data analysis. It’s been great to see how innovation continues to penetrate the medical profession, improving patient services and care. As we look to 2016, there are some areas that we can expect technology to further impact. Security is a major concern for consumers and the healthcare industry, and the threat of it is only rising. While technology and data provides patients with the precise, personalized medicine that they want, individuals have not forgotten the security breaches that occurred this past year, which had heightened their concern, particularly with the type of personal information in medical records. Implementing stronger, more reliable and transparent security practices will be a critical objective for medical practitioners, but equally important will be reestablishing trust with their patients and consumers. Consumers have grown to expect personal and custom experiences from technology. 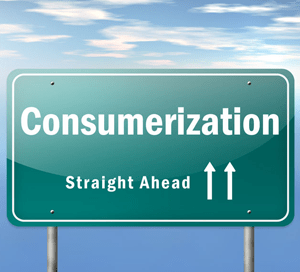 The consumerization of healthcare will gather greater momentum and the healthcare industry will see the first effects of this trend on individual behavior in 2016. By treating patients and individuals seeking healthier lifestyles as consumers, the healthcare and related technology developed becomes more and more applicable to serving their needs and meeting them where they are. This is a great thing. As an example, imagine telehealth kiosks now allow patients to engage in a face-to-face video consult with their doctor, or have their vitals taken and receive a diagnosis – without setting foot in their doctor office. Pilot programs for these “pods” are being tested in Rite Aid and the Cleveland Clinic. The latest innovations will further fuel the moment around treating patients as consumers and developing relevant technology that make it easier for them to monitor their health and seek treatment, driving more adoption and healthier populations. The Internet of Things (IoT) connects billions of objects around the world, and in 2016, the healthcare industry will take the first steps in tapping IoT’s full potential through passive monitoring. Leveraging wearables and connected devices, healthcare organizations, with the consent of patients will be able to passively monitor the wellness of patients and personalize their experience. For example, for those with chronic diseases, such as diabetes or heart disease, these devices can monitor all aspects of the patient’s daily life to provide insight to the patient and the healthcare providers, into how different activities, such as eating, sleeping or watching TV, affects his or her body. Connected devices equipped with real-time feedback can provide subtle alerts that prompt, caution or encourage patients to stick with or avoid certain behaviors. These devices can also help them to comply with a treatment or regimen. In 2016, we’ll see the industry understand that subtle patient engagement through passive monitoring can have positive, long-term effects on behavioral change. While the rollout of ICD-10 was reluctantly undertaken by some in 2015, the healthcare industry will begin to realize its actual potential in 2016. As a result of ICD-10, healthcare organizations will receive a higher level of granularity in the clinical data that has been collected including patient information and clinical data. Utilizing this data will enable new insights and deeper analysis. This will be the first step in turning descriptive healthcare analytics to predictive and prescriptive insights enabling results like reducing readmission and improving population health management. However, as we see potential benefits being realized, discussions will center on the interoperability of systems that is limiting analysis and holding back potential insights. While diseases such as AIDS and malaria are now considered chronic or curable with the proper treatment, there are still geographical, technological and societal barriers that pose great challenges when trying to treat the demographics that are most commonly affected. In the third world and emerging countries, healthcare organizations are leveraging technology, including simple mobile devices, to provide patients with faster, more effective care. In 2016, we will see more companies create technology that democratizes healthcare with innovations that help to lower the cost of healthcare, enhance patient engagement and improve overall worldwide population health. Not only is it exciting to imagine how we’ll see technology continue to evolve and change everyday life, but also fascinating to see the impact and opportunities for enabling healthcare providers. These trends will manifest in some exciting and innovative changes in 2016 that will have a tremendous impact and further improvements in patient care. 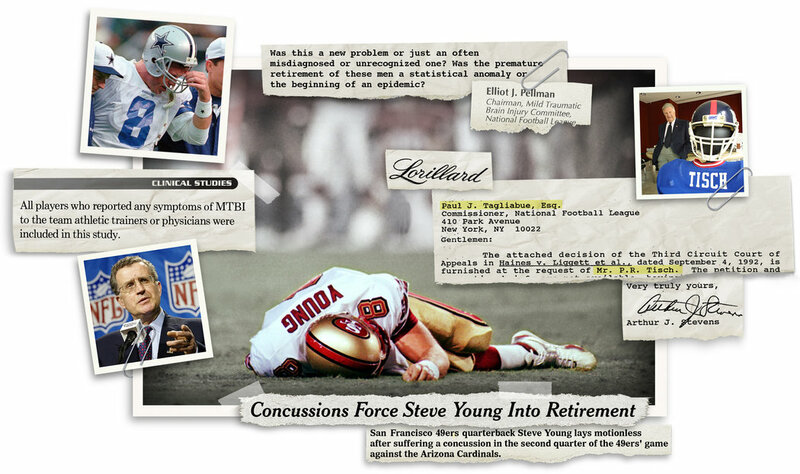 As reported by the NYT the concussions research was deeply flawed and drawing expertise from companies who cut their teeth working for tobacco companies and as the evidence mounts it is hard to draw anything but a very negative view of the organizations and their behavior towards the players and their health. The big questions is how much did they know and how deliberate was this cover up in the name of corporate profits? The move toward value-based reimbursement is shaking up traditional healthcare in all kinds of ways, as connectivity and cost-effectiveness become critical attributes in care delivery. Proprietary PACS, used in image acquisition systems, are starting to feel the squeeze from this dual pressure, as vendor-neutral archives take over many of their functions. A recent study by Markets and Markets predicts a PACS-less Radiology world by 2018. Donald Dennison, Society for Imaging Informatics in Medicine (SIIM) Board director-at-large and the chair of the American College of Radiology (ACR) Connect Committee told attendees at the opening session for SIIM 2015, there are three external market forces that are trickling down into the imaging informatics world and leading to the demise of PACS: Money, EMR adoption and consolidation. While PACS have traditionally been the workhorses of diagnostic imaging, providing workflows, viewing and archiving, their use of proprietary formats severely limited the ability of an organization to freely share images and created unnecessary and expensive complications in managing storage. They are a prime example of the episodic-care model, in which care delivery processes were created without regard to the broader needs of a patient. With the move toward value-based care, this episodic approach is rapidly being replaced by a patient-centric model, and proprietary silos are rapidly and rightly going the way of the dinosaur. In this case, value-based payments are the meteor strike that will so radically change the environment that these beasts are no longer equipped for survival. Vendor-neutral archives (VNA), which can gather all the images into a standardized, patient-centered storage model, makes image sharing much easier. And VNAs have added on workflow and viewing capabilities that make PACS mostly superfluous. While having a VNA to unify all your diagnostic imaging is a good idea, it also has limitations. A simple VNA is more evolved than a PACS, but without more evolution and growth, it too will be unable to survive in the changed environment created by value-based payments. Fortunately, the VNA model is more adaptable than most PACS and is rapidly evolving to be far more than a DICOM-image repository. An important part of value-based care is the ability to unify all data associated with a patient and deliver the right parts of that data where and when they are needed. That requires not only DICOM images, but also associated clinical data and documents and non-DICOM documentary images (such photos to document wound care). And all of that data must be integrated with the patient’s electronic health record. Finally, a layer of analytics is needed to ensure that relevant data can be extracted as needed. Beyond individual patients, we have an opportunity to learn more about the progression of diseases if we can use this unified data in our predictive and population health analytics. In an article in Clinical Innovation+Technology, radiologists Eliot Siegel, MD and Gary Wendt, MD noted that this larger, unified data may soon offer unique value for diagnostic purposes and new clinical insights. As the VNA grows beyond image archiving, maybe a new name will be needed. The pre-release statement for a new IDC report (due out in December 2015) suggests a new description: Application Independent Clinical Archive. But I still like Dell’s name for our version of this archive (I work for Dell): Unified Clinical Archive. By whatever name you call it, we are moving toward a truly patient-centered archive that will offer far more value than PACS or the simpler versions of VNAs. That’s good for all of us. The move to value-based payments will be the most significant trend of 2016, because it will force both caregivers and health plans to radically change the way they think and act. Population health, which emphasizes identifying risk and gaps in care, and filling those gaps, will be an existential capability for hospitals, physicians and health plans. If they get it right, they will prosper. If not, they will struggle at best or worse, wither and fail. Effective population healthcare requires both a change in thinking and adoption of new technology for success. Organizations that have focused on episodic care and procedures to pay the bills will be the most challenged, because a completely new mindset will be needed. If you are a surgeon who has been highly valued by a hospital because you bring in lucrative procedures, your life will change radically over the next couple of years. Hospitals will be looking to physicians who can reduce costs and avoid the need for expensive interventions to help them succeed. The surgeons (and other procedure-based specialties) will still be needed, of course, but they won’t have the rarified status in the future that they enjoy today. Those who can find innovative ways to help patients improve their health status without a hospital stay or other expensive interventions will be the most successful in this new world. Hospitals and physicians will also need to add technological capabilities to succeed. They will need to integrate data, analyze that data and use telehealth and remote monitoring to provide more effective use of resources and delivery of care. For many organizations, data integration probably seems overwhelming with too many applications speaking disparate languages. The good news is that technology exists now which can create a nearly seamless interface among all these silos and allow data from a wide variety of sources to be used for population health, better treatments and more efficient operations. Physicians will find a light at the end of the tunnel for those who hate their EHRs, as new vendors provide applications that make using an EHR simpler and more efficient. These vendors are creating applications that use the EHR and other clinical applications like a database, presenting patient data in a simpler, more clinically relevant user interface. This will mean that organizations can make their caregivers much more satisfied and efficient without having to ditch the huge investments they’ve made in clinical technology. The next year will be a wild ride for many organizations, as they adapt to all these changes, but the work and effort should pay off in all kinds of important ways, liberating data for effective use in traditional clinical and patient care and unleashing innovation for its use and in new and unimagined ways.